Hey dolls! 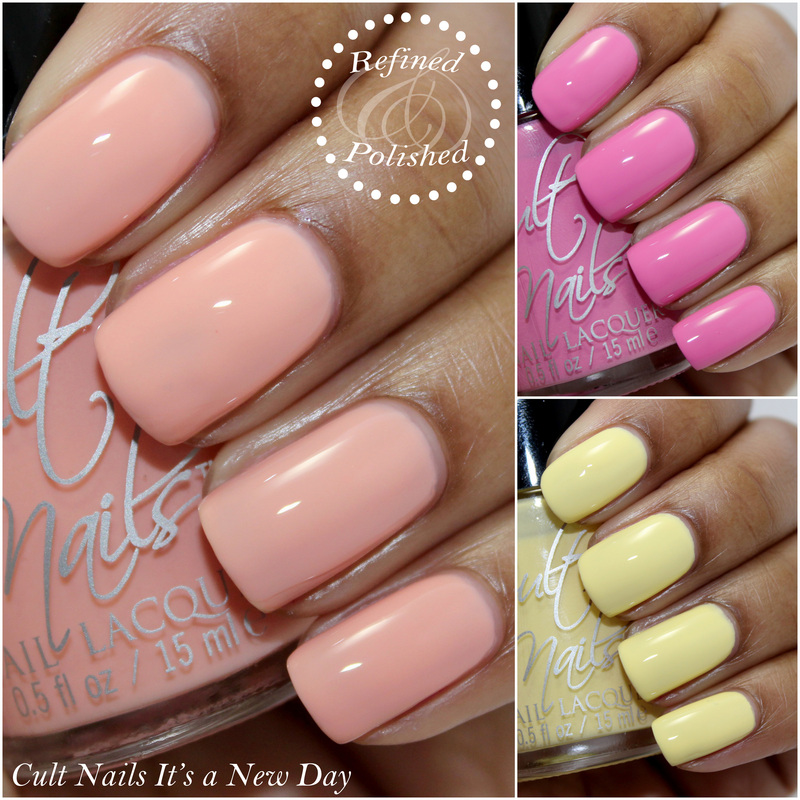 Today I have photos for you of the upcoming Cult Nails It’s a New Day collection. I’m loving these more frequent mini sets from the Cult. It’s a New Day is a collaboration between Maria and the fabulous Marta from Chit Chat Nails. If you follow Marta’s blog, you’ll see immediately see the connection between her style and each soft, pastel shade. Cult Nails Evolution is a pale peach creme jelly hybrid. I absolutely love this one as it compliments my skin tone perfectly. The formula was sheer, but easy to apply. It built up nicely in three coats. I would recommend waiting a few minutes in between coats to avoid dragging. Cult Nails Falling Hard is pastel pink creme that is crazy pigmented. If you tend to apply thicker coats, you would definitely only need one coat. I used two coats for photo purposes. 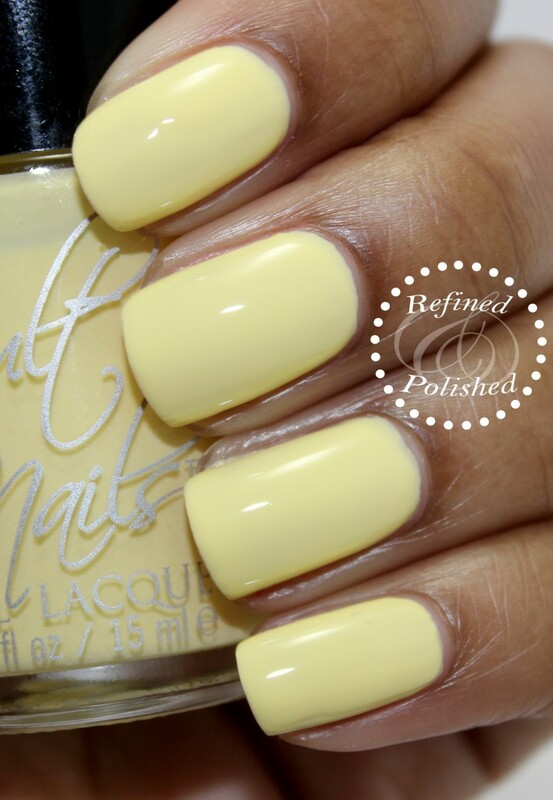 Cult Nails New Day is a pastel yellow creme. I’ve been looking for a soft yellow creme like this, so I’m glad to see one of my favorite brands deliver it. The formula was actually really good. We all know the problems that can occur with yellow polish, so I was glad to see that this one applied easily. In real life, you could get away with just two coats of this polish, but I applied three coats for photo purposes. There was just a little visible patchiness at my free edge with two coats. 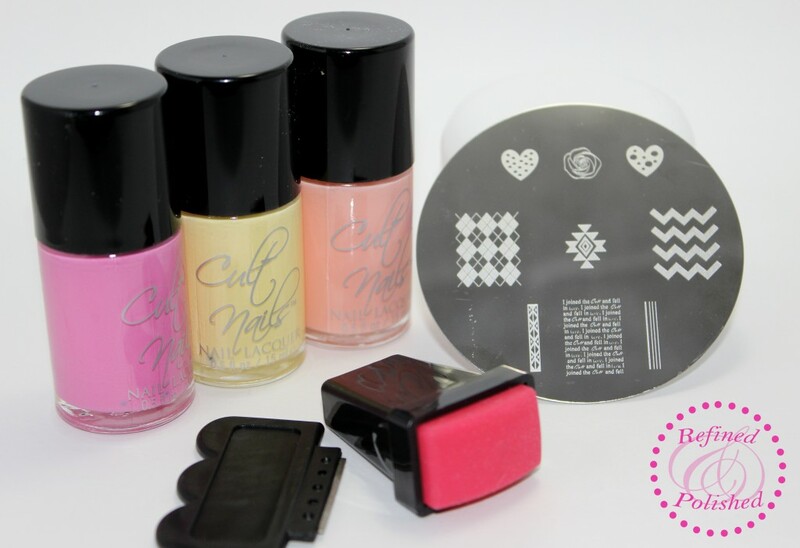 The It’s a New Day collection also comes with a stamping plate designed by Maria and Marta, which retails for $5. The plate will be included for free in all pre-sale orders. It features several designs that come to mind when I think of these two, including chevrons, tribal prints, and roses. The text at the bottom of the plate says, I joined the Cult and fell in love… How cute is that?!? The stamper/scraper is not included, but it will be available for purchase separately for $6. I’m not that good at stamping, but I do plan to give the plate a try this evening. The Cult Nails It’s a New Day collection will be available for pre-sale here for $24 and it includes all three shades and the stamping plate. Pre-sale will begin Friday, April 11th at 12:00AM EST and run through April 25th or while supplies last. 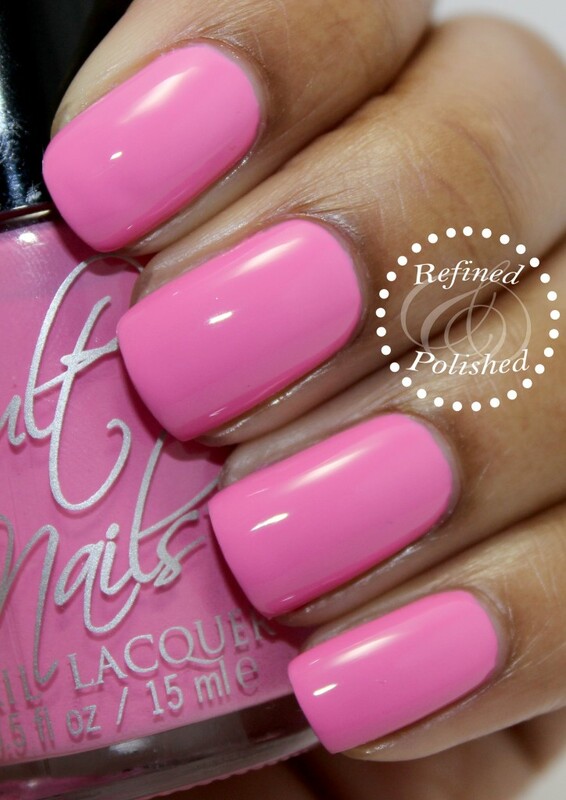 Be sure to keep up with Cult Nails on their blog, facebook, instagram, and twitter!